I've never really thought of myself as someone who likes guacamole. I like avocados, but I just wasn't sure about them all mashed up and on a chip. I was happily surprised by a dip a few weeks ago.This recipe was shared by one of my sweet friends so I can't take any credit for it whatsoever. She and I are alike in that most of our "recipes" are more or less throw this and that together and we'll see how it tastes. Directions | Cut avocados and scoop out the good stuff. Place them in the mixing bowl and beat on low progressing as the avocados get blended. Add the rest of the ingredients. I used about half of the ranch packet, half of the salsa, and 1/3 of the sour cream. It all really depends on how you prefer it tastes. Thanks again to my sweet friend for opening my eyes to this! Oh, did I mention she's simply a fantastic photographer? See for yourself. Hello! Stopping by the Delicious Dish Tuesday link up! 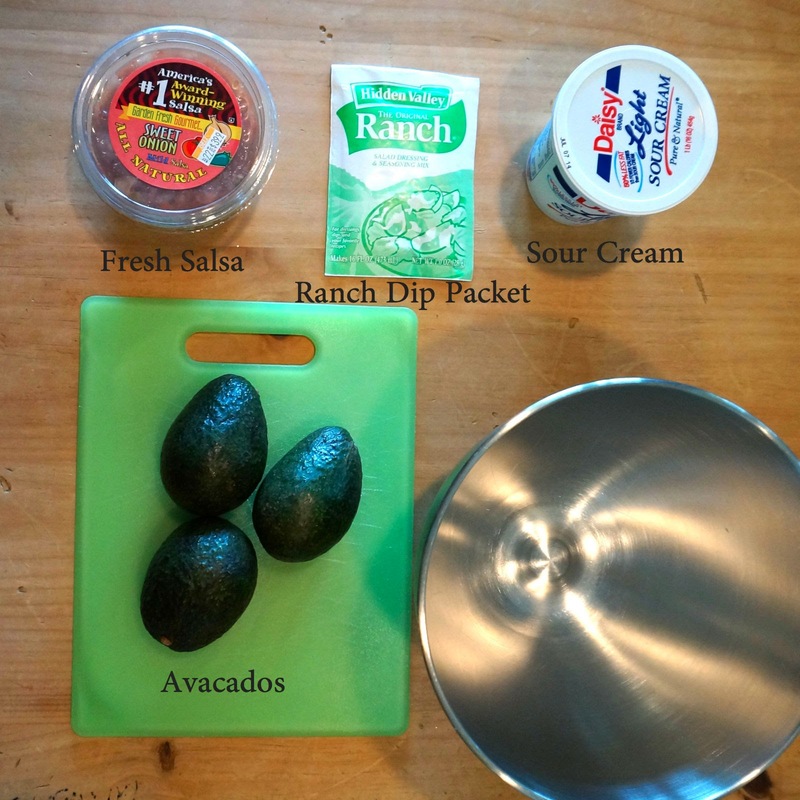 I love avocados, as does my dog and I have been looking for a guacamole dip to try. I can't wait to try your recipe! Thank you for sharing and have a great day! This made my day JUST to see avocados! mmmmm has to be one of my favs!! Thanks so much for linking up to Delicious Dish Tuesday! We'd love for you to share our button or a link back to one of the hosts so your readers know where they can find other awesome recipes like this one! :) Can't wait to see what you bring to us next week! I LOVE avocados!! I will have to make "guacamole" like this next time! Yum!! And, I love those chips with the hint of lime! Nom Nom!